TORONTO, ONTARIO, February 20, 2019 – No other race in NASCAR is as coveted and revered as the season-opening Daytona 500. 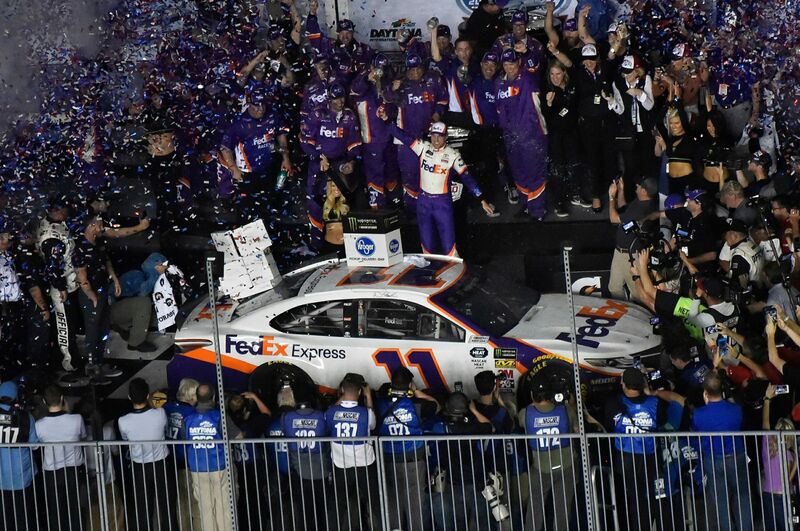 To win the Great American Race once solidifies your name in the history books, but to win it twice as Denny Hamlin did last Sunday, puts him in a class of only 12 drivers who have doubled down and conquered the Daytona 500 two times. In addition to Hamlin’s victory, Tundra driver Austin Hill kicked off the NASCAR Gander Outdoors Truck Series season with a win at Daytona Friday night. On Saturday, the long-awaited return of the Supra took center stage in the NASCAR Xfinity Series where Brandon Jones finished third. All three drivers now lead their respective point standings after the first NASCAR races of the season. 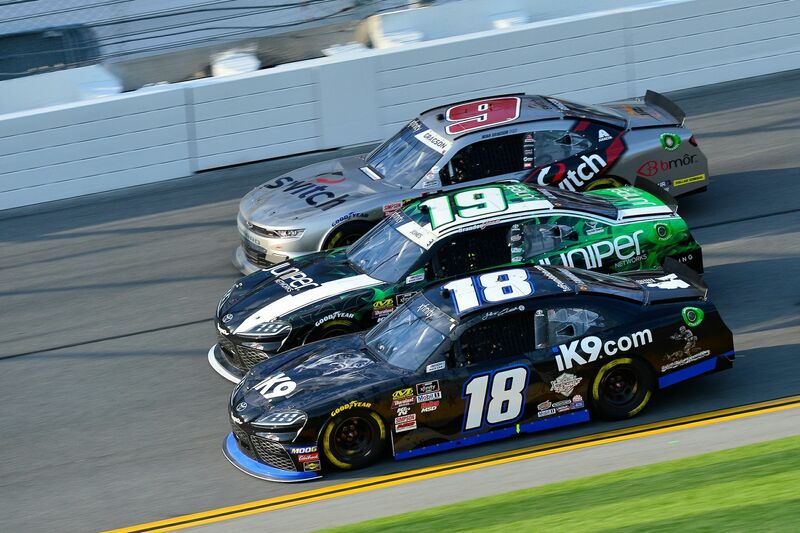 The Daytona 500 was a hotly contested battle between Camry drivers who led over half of the race laps – 116 (of 207). However, Hamlin used a late restart to take the lead for the final time to clinch his second Daytona 500 victory, after also winning in 2016. 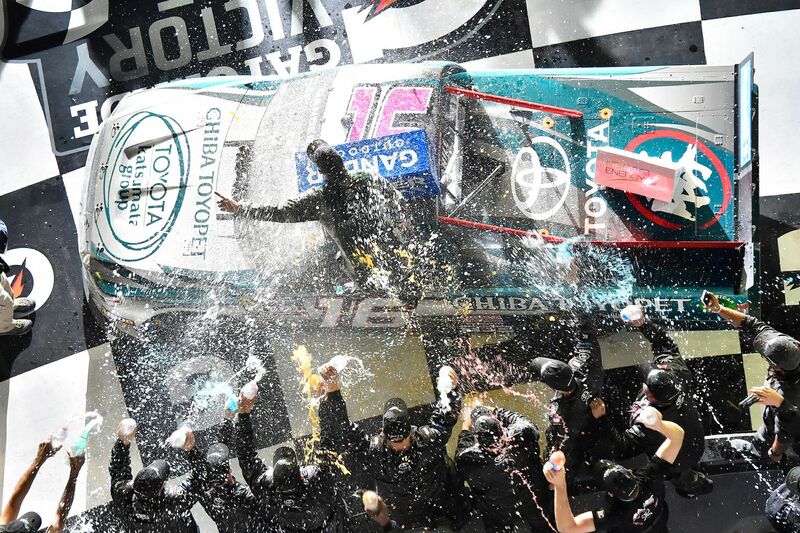 Hamlin led twice for 30 laps to register Joe Gibbs Racing’s (JGR) 100th Camry Monster Energy NASCAR Cup Series (MENCS) victory, and Toyota’s 125th Cup triumph. JGR drivers swept the top-three finishing spots in Sunday’s race to mark the sixth time Camry drivers have finished one-two-three in a Cup Series event since 2007. Kyle Busch finished runner-up with Erik Jones in third. Although JGR stole the show, all eyes were on Toyota’s newest team, Leavine Family Racing’s Matt DiBenedetto led a race-high 49 laps Sunday before being involved in a late-race incident which relegated them to 28th. Toyota’s long-awaited return of the legendary Supra, which has a fan-following that rivals those of NASCAR, made its return to the race track on Saturday in the NASCAR Xfinity Series. Jeffrey Earnhardt started on the outside of the front row and led 29 laps (of 120) in the Supra, however it was JGR’s Brandon Jones who delivered a third-place result followed by Christopher Bell in sixth. The 2018 Truck Series championship team Hattori Racing Enterprises (HRE) made a driver switch in the off-season, and their hard work and championship form has not wavered as new driver Hill claimed the organization’s first Daytona trophy Friday night. Hill was in contention all race long – leading 39 laps (of 111) – and when the field dwindled to only nine vehicles on the lead lap, he was ready to pounce to earn his first-career NGOTS victory. With the win, Hill has catapulted himself not only in the regular season points lead, but also into the Playoffs come late Summer. All three NASCAR series – MENCS, NXS and NGOTS – return to action this weekend at Atlanta Motor Speedway for the second race of the 2019 season. Toyota Canada Inc. (TCI) is the exclusive Canadian distributor of Toyota and Lexus vehicles. Toyota has sold over 8 million vehicles in Canada through a national network of 287 Toyota and Lexus dealerships. Toyota is dedicated to bringing safety, quality, dependability and reliability in the vehicles Canadians drive and the service they receive. TCI’s head office is located in Toronto, with regional offices in Vancouver, Calgary, Montreal and Halifax and parts distribution centres in Toronto and Vancouver. Toyota operates two manufacturing facilities in Canada. Having produced more than seven million vehicles, popular Canadian models built at these facilities include Toyota RAV4, Toyota Corolla, Lexus RX 350 and RX 450h hybrid. Recent investments at its facilities in Ontario will allow for increased production of the top-selling Toyota RAV4 and RAV4 Hybrid models.